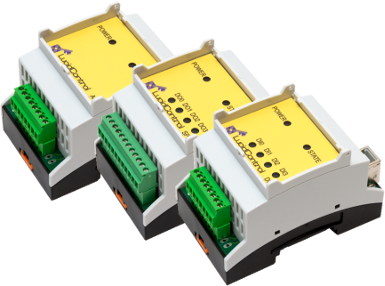 The IO module series consist of a range of different input output modules for analog and digital data acquisition and control that can be used in many monitoring projects. The LucidControl is low priced equipment and furthermore is prepared for portable applications since being USB power supplied and there is no need for extra supplies. It is enough to link the units by a conventional USB port to the host computer. 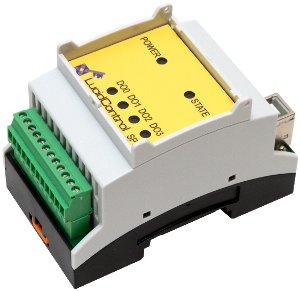 For dependable solutions it is also helpful that the IO modules are prepared with high quality and industrial standard plug-able terminal contacts. The versatile and DIN-rail mountable housing makes LucidControl very suitable for the automation branch since it enables their most easy inclusion in distribution boxes. Students might make their initial programming steps with LucidControl and benefit from a steep learning curve. Because of an complete user manual, professional programming utilities and libraries for several relevant programming languages and also straight forward usage make the io modules a perfect automation solution for beginners as well as for professionals. Applications for e.g. measuring temperatures as they are usual in the DIY sector can be prepared tidy and straight forward by adding the IO modules into distribution boxes. Most OS such as MS Windows® and also Linux are supported by the IO modules immediately without driver installing. Beside of ordinary PC LucidControl IO modules are also compatible with embedded computers like the Texas Instrument Beagle Bone Black which makes the input output units very usable. This enables all services provided by input output units being accessible through the world wide web and also to create database solutions on small computers operating with Linux operating system. For handling analog signals for example voltages, the analog input (ADC) and analog output modules represent this class of IO modules and are capable of managing analog based lines. 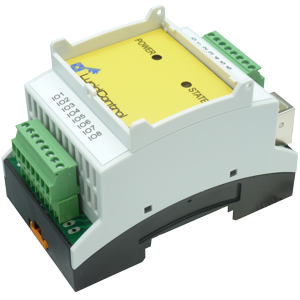 The acquisition of analog voltage signals can easily be done by using the LucidControl Analog Input Module. The inputs of the analog input module are available for input ranges of 5V to 24V furthermore negative acquisition ranges providing -5V to +5V, -10V to +10V and also a -24V to +24V are available. Especially voltage interfaces of 0-10V and 0-24V are commonly used in the building sector. Flow meters for instance generate analog lines being proportional to the mass of fluid run through it per time unit and the analog input module has the capacity to manage these sizes. Usually used measurement devices e.g. wind detectors communicate offer 0-10V signals where the captured signal is proportional to the captures wind velocity and therefore the 0-10V selection of the analog input module fits best in order to communicate type of sensors. A high resolution of fourteen bit ensures a precision of 0.25% spread over the whole acquisition range of the analog input module. The accuracy of the acquired input is further improved applying the included signal conditioning level and the disturbance filter. 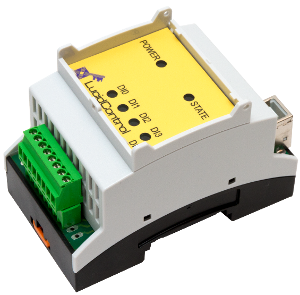 For plenty control applications, the ensured precision that is for the 0-10V option +/- 25mV is adequate and the analog input module gives an excellent trade-off regarding cost and accuracy. To make them as valuable as practicable and also to manage the majority of possible applications, it is our companies aim to cover many digital and analog signals with this USB IO Modules.